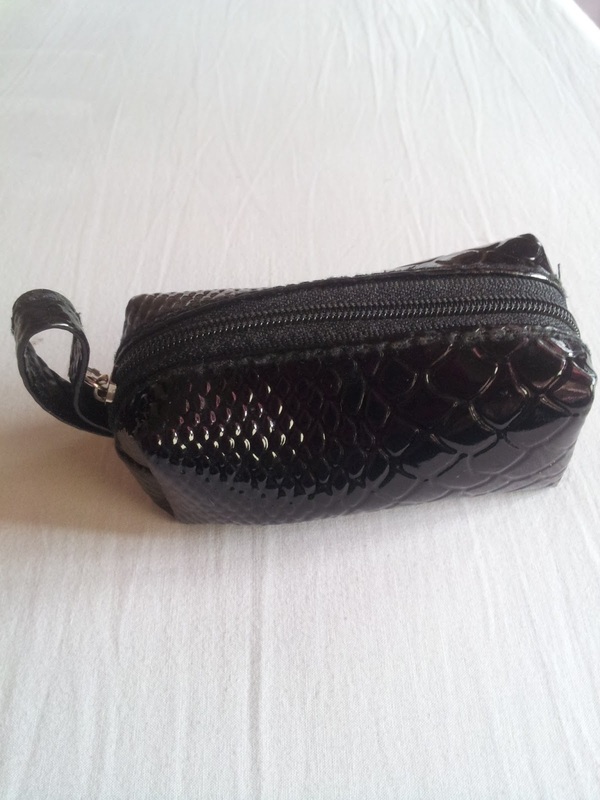 So I have a spare tiny coin purse that I do not use for now. It's just sitting inside my cabinet and I figured it's about the same size as my kabuki's just a tad bit larger so why not use it to store my babies. This coin purse is actually my mom's lol. It's laying around her bedroom and she was not using it so I stole it from her haha! 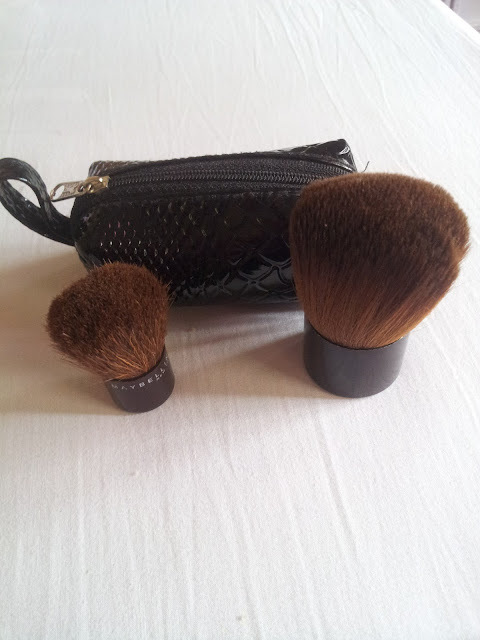 I have this couple of kabuki's that I always bring along with me just to avoid bringing the bigger ones. 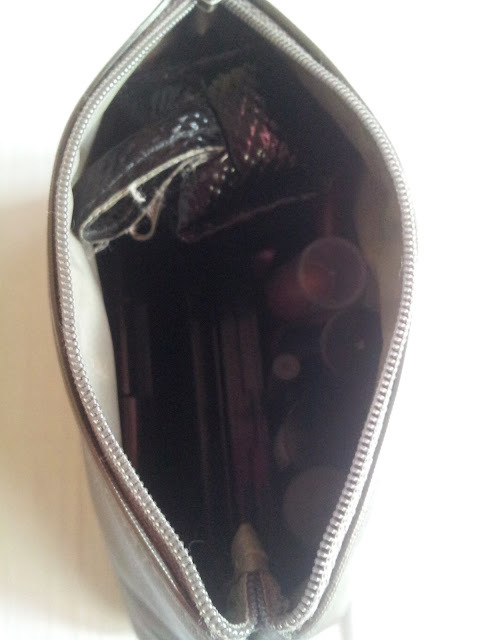 My problem before was, it kept on getting mixed with my other products inside my make up pouch and litters as well. So I have to dig through just to look for it. PERFECT! It fits nicely right?